It’s not always easy to find an excellent car service in Brick Township, NJ. However, with an affordable price, first-class customer service, and experienced chauffeurs, American City Express is your solution. Trust us to take care of your transportation needs! At American City Express, we operate with the highest safety standards and are continually refining our operations in line with best practices. We perform regular maintenance on all of our vehicles and ensure they pass all necessary safety tests. With a dedicated fleet of late model luxury vehicles, we get you to your destination safely and comfortably. Our friendly drivers are thoroughly screened and receive extensive training to make your journey safe. Our customers consider us to be the transportation specialists due to our experience, service, and knowledge. We have an in-depth understanding of all locations we serve. While we can’t predict the weather, we do continuously monitor the radar to ensure it doesn’t impact your trip. We also observe all flights (incoming and outgoing) to ensure your car is ready and waiting! While you’re here, you should visit the beautiful township of Brick. Brick is located just over 50 miles south of Newark and forms part of the New York Metro area. The town was named after Joseph W. Brick, an ironworks owner. The region’s first inhabitants were the Lenape Indians who were fishermen and farmers. In 1850, when Brick was incorporated as a township, and tourism took the forefront. Considered “America’s Safest City” in 2006, Brick experiences a steady influx of visitors each year. Visit its pristine beaches located along the Barnegat Peninsula. Take a stroll along the Seaside Park Boardwalk. Spend a weekend in one of the luxury hotels and stop by the specialty shops. Dine at one of the fine restaurants and try Brick’s popular Italian cuisine. For a history lesson, visit Haven Homestead Museum and experience life in the mid-1800s. Visit Edwin B. Forsythe National Wildlife Refuge. The refuge protects over 47,000 acres of habitats along the southern New Jersey coastal area and is home to many endangered migratory birds. Choose a transportation service that makes sense. At American City Express, we are dedicated to providing you with a safe and comfortable experience. Book a reliable luxury vehicle, and one of our highly-trained drivers will be ready to take you to your destination. 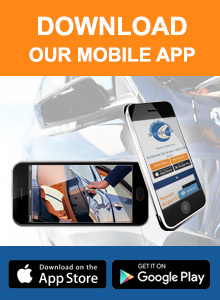 Call us, visit online, or download our app to reserve your car today!